What's Up With Plastic Microbeads? 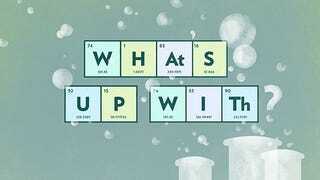 "What's Up With...?" is a regular feature exploring fearsome ingredients in beauty products. If there's one you're curious about/scared of, leave us a comment and we'll try to suss it out. Sherri Mason, an associate professor of chemistry at the State University of New York, Fredonia, spends a lot of time studying the Great Lakes. "Everyone dumps everything in the Great Lakes," she said. I know what she means. I live in the Midwest and have vacationed on Lake Michigan. "It's like the toilet of the Midwest," I said. "Yeah, or the septic tank." Mason laughed. But it's not really funny. Mason's research involves sifting through this water waste and amid the bottle caps and plastic bags, she has found beads. Lots of them. Mason estimates that of all the plastic she and her fellow researchers have found in the Great Lakes, 16% are these little plastic microbeads. Plastic microbeads are found in toothpaste, soap, face wash and other consumer products. Companies claim they help clean and exfoliate. They are also used for aesthetic reasons. Your soap looks so much more dapper when it's got tiny blue specks in it. And you can find them on the ingredient label as polyethylene or polypropylene. And all of these little beads are finding their way down the drains and into our lakes, rivers and oceans. So, what's the problem with them there? Well, three things. First, Mason told me, these beads are being eaten by fish and in some cases they sit in the fish's stomach. The fish thinks it is full and dies of starvation. Secondly, the beads are getting into the fish and into the food chain. And while these beads are considered safe for consumption by the FDA, Mason points to the third problem: the beads, once they are in the rivers and lakes, are acting like little life rafts for other chemicals that are just sitting in the water, trying to get out. Mason explains, "These plastics are hydrophobic, afraid of water, and so are elements of pollutants. And these pollutants just sit in the water looking for ways to get out. These plastics act as vehicles for the pollutants. So, when the plastics get back into the food chain they are bringing other pollutants with them." In sum, plastic microbeads are acting like that drift wood in Titanic, except instead of saving Rose, they are saving pollutants. Imagine other pollutants saying, "I'll never let you go!" That of course, has nothing to do with anything. In response to this scourge of plastic beads, Illinois is working to ban them and eight states have pending legislation against them. In fact while, the American Dental Association issued a statement that reaffirmed that microbeads have no adverse health effects, and a L'Oreal spokesperson has insisted that there is no "proven environmental toxicity," Procter & Gamble, Johnson & Johnson, Colgate, Unilever and L'Oreal have all agreed to phase out the use of plastic microbeads. In odd twist, industry agrees to ban "microbeads"
In researching plastic beads, I found a lot of scurrilous information about these beads causing cancer or perhaps getting stuck in our gums and leading to cancer. But none of this is proven by science. There are no studies directly linking these plastic beads to adverse health effects. When I asked Mason about this, she sighed. She says she gets these questions a lot as she travels around speaking about pollution in the Great Lakes. "Look, ethically, it's really hard to study how bad it is to put plastic beads in a person's body. People also ask me if these beads have been found in people and I'm not sure how they want us to find out. Go to the morgue and cut open bodies? That's not something we can do. It's safe to assume if the beads are in fish, they are going to be in people and what that means? Well, it's hard to say. But if the beads aren't necessary for your health, I don't think you want to put them in your body or pollute the environment with them." But we don't really need a cancer causing link to get rid of microbeads, do we? Mason points out that there are so many other great ways to exfoliate. Some companies use cocoa or apricots. Last night, I scrubbed my face with baking soda because Pinerest told me to, and it was marvelous. Bottom line: Stop dumping your garbage in the great lakes and exfoliate with chocolate. I think that's a bottom line we can all get behind.